Congratulations to Bernhard Vockner from the Research Studio iSPACE, who today defended his PhD thesis "Enhancing Discovery in Geoportals: Geo-Enrichment, Semantic Enhancement and Recommendation Strategies for Geo-Information Discovery" with distinction! Mr Vockner successfully presented his innovative work on adding recommender features to geoportals to his PhD committee at Z_GIS. Prof Bartelme (TU Graz) and Prof Car (GUTech Muscat) as discussants confronted the candidate with numerous questions and comments, leading a high level discussion about recent and future developments leading towards 'smarter' and more context aware geoportals. The preparations for GI_Forum are already running at full speed! We welcome you on July 1 from ten o'clock at the GI_Forum registration desk. Join us at AGIT EXPO! For more than 20 years, AGIT EXPO has served the purpose of bringing users of Geoinformatics and industry leaders in technologies, services and solutions together, representing the world of spatial IT. GI_Forum visitors also have access to the Exhibition of Applied Geoinformatics and multiple product presentations, orientation seminars and special fora. Scientists in the field of “Geoinformatics and GIScience” gathered for a “PhD school” at Lake Chiemsee. This jointly organized event between the University of Heidelberg and the University of Salzburg offered opportunities to PhD students, PostDocs and invited guests to discuss hot topics in GIScience. The main idea of this event was the exchange of research ideas and the formulation of research questions and potential research avenues. Participants from two leading institutions in “GIScience” in Europe where complemented by invited scholars from academia and industry. Prof. Strobl from the University of Salzburg and Naicong Li from the Redlands Institute, California, gave inspiring keynote presentations, highlighting career opportunities for PhD graduates. All in all, 50 participants from both departments plus guests contributed to the success of this event, inspired by the charming environment of the abbey, and started networking towards future research collaborations. From March 8 to June 6 2014, Jean Pierre Bizimana, PhD Student from the University of Rwanda spent three months for his third secondment at the Interfaculty Department of Geoinformatics – Z_GIS. The research stay was carried out in the context of the EC FP7 Research Project HEALTHY FUTURES. .Jean Pierre’s PhD research focuses on the “Linkage between Climate Variability and Community Vulnerability to Malaria in Rwanda”. 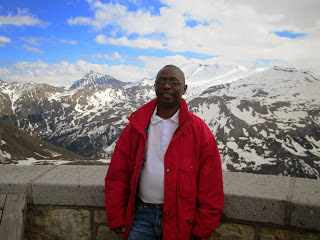 Based at the University of Rwanda, Jean Pierre is supervised by Dr Stefan Kienberger (Z_GIS). During his stay in Salzburg, Jean Pierre applied a composite indicator approach to assess socioeconomic vulnerability to malaria among the districts of Rwanda. By integrating multisource indicators of vulnerability to malaria Jean Pierre identified the most vulnerable districts in Rwanda in terms of *) susceptibility to not withstand malaria *) lack of resilience to anticipate, *) being able to cope with or to recover from malaria infection. The outcome of this research is the submitted manuscript for publication: “Bizimana, J.P; Kienberger, S. and Twarabamenye, E. (under review). Assessing socioeconomic vulnerability to malaria in Rwanda”, submitted to Malaria Journal. Jean Pierre has also used the integrated geons approach as a spatial explicit approach for modeling homogeneous regions of vulnerability, which are independent from administrative boundaries. High levels of socioeconomic vulnerability to malaria are mainly found in highlands as well as in remote areas where local communities are more susceptible, lacking the capacity to anticipate mosquito biting exposure or are not resilient enough to cope with or recover from malaria infection. By decomposing vulnerability into its underlying factors, the proposed approach indicates which problem domains need to be addressed and shows where appropriate interventions are most needed. The outcome of this integrated modeling is the manuscript: “Bizimana, J.P; Kienberger, S.; Hagenlocher, M., and Twarabamenye, E (Under review). Modeling homogenous regions of socioeconomic vulnerability to malaria in Rwanda” submitted to the international journal of Applied Geography. The Z_GIS Team is looking forward to meeting Jean Pierre again at the international conference on “Climate Change and Vector Borne Diseases” to be held on 18-20th November, 2014, Kigali Rwanda. 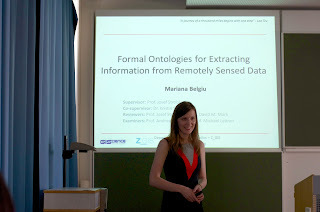 This week, Mariana Belgiu presented the results of her PhD thesis, entitled “Formal ontologies for extracting information from remotely sensed data”. Her committee consisted of Prof. Josef Strobl as the chair and Prof. Michael Leitner (Lousiana State University, USA) as well as Prof. Andreas Koch (University of Salzburg, Austria) as the discussants. Mariana explained her complex four-year research work within an impressive presentation. The following discussion brought up challenging questions in regard to technical aspects of her work, but also social science and philosophical points of views were lively discussed. Mariana mastered these challenges with accurate and complete responses. More than 40 participants attended this fourth PhD project defence within the Doctoral College (DK) "GIScience", since its establishment in fall 2011. Mariana Belgiu held a position as an associated student within the DK. She convincingly demonstrated her expert knowledge within the domain of formal ontologies in remote sensing. 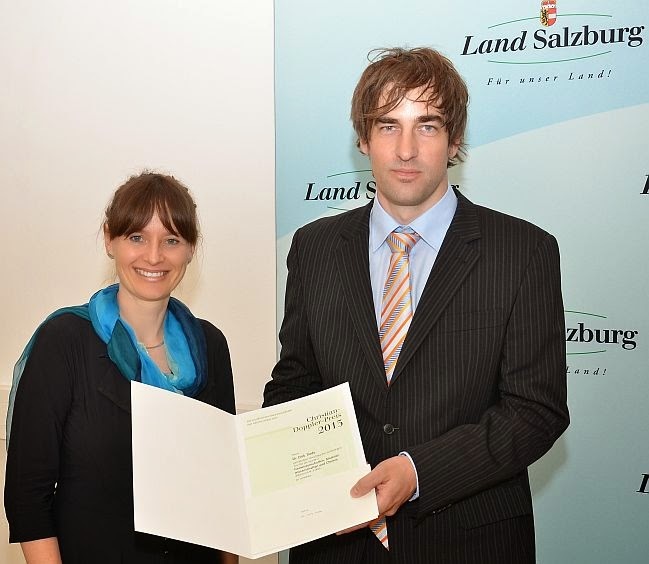 The next big steps in her career are dedicated to continuing her research work within the remote sensing community as well as serving as a lecturer within the UNIGIS study programme at the Department of Geoinformatics - Z_GIS at the University of Salzburg. "Analytical 3D views and virtual globes – scientific results in a familiar spatial context"
"Automated Damage Indication for Rapid Geospatial Reporting"
"Automated Analysis of Satellite Imagery to provide Information Products for Humanitarian Relief Operation in Refugee Camps – from Scientific Development towards Operational Services"
We at Z_GIS are proud that Dirk as one of our highly regarded senior researchers is continuing in the footsteps of Prof's Thomas Blaschke and Josef Strobl as a Doppler-Prize recipient and could make the top rank in this year's competition - congratulations! The Inter-Faculty Department of Geoinformatics - Z_GIS at the University of Salzburg is advertising two tenure-track positions of assistant/associate professors in Geoinformatics / GIScience. With expected starting dates in the fall of 2015, these new positions have been awarded to Z_GIS recognizing its outstanding achievements in research and graduate education. The new faculty are expected to contribute to Z_GIS' research agenda as well as to its Geoinformatics education programmes on MSc and PhD levels (including the GIScience doctoral college), plus teaching into the Geography Bachelor and other curricula. Successful candidates are expected to have completed a PhD in a relevant discipline, have started to establish an innovative research record and a documented teaching experience. 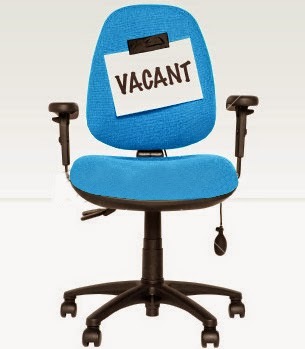 The full job advert is published in the June 4th university gazette (item #90, page 6). German language skills are essential. Softwareentwicklung im Bereich der Geoinformatik, mit Schwerpunkt auf Applikationsentwicklung auf aktuellen GI-Plattformen im Kontext verteilter Architekturen. Kartographische Kommunikation und Geovisualisierung. Georeferenzierte Medien auf unterschiedlichen Plattformen einschließlich partizipativer Paradigmen. 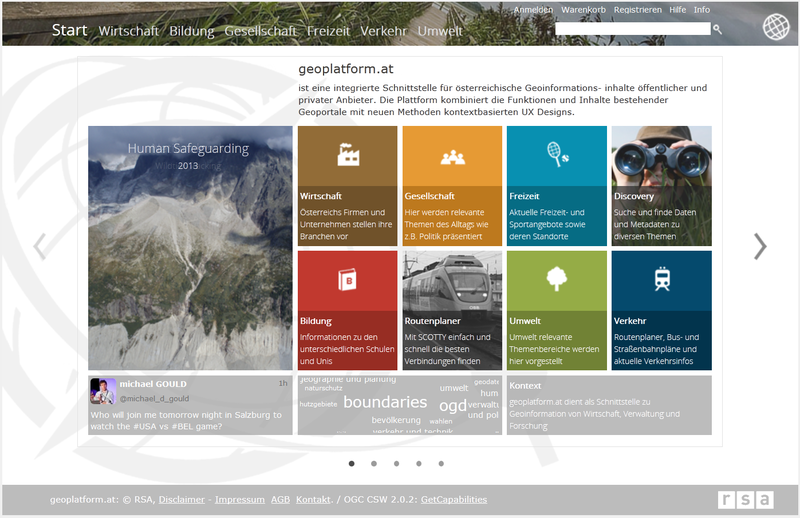 Geodateninfrastrukturen, verteilte Geodatenbanken und offene Standards. Konzeption und Entwurf von Dienste-basierten GDI-Komponenten sowie Einsatz von OGC-Spezifikationen. Erfassung, Organisation und Auswertung von Geodaten aus dem Gesamtspektrum an Sensoren. Räumliche Analysemethoden zur Extraktion und Abstraktion von Information aus Geodaten, unter Berücksichtigung entscheidungsunterstützender Verfahren und WPS.